Add more credibility, and help your club reduce liability by participating in the NRA Range Safety Officer Program. What is an NRA Range Safety Officer? The NRA Range Safety Officer program was developed in response to the demand for a nationally-recognized range safety officer certification. NRA Range Safety Officers are people who possess the knowledge, skills, and attitude essential to organizing, conducting, and supervising safe shooting activities and range operations. This course does not encompass the functions and responsibilities of a Range Officer, who conducts NRA competitive shooting events as defined by Rule 11.5 of the NRA Rule Books. NRA Range Safety Officers must be 21 years of age or older. The Range Safety Officer course consists of: Range Safety Officer's roles and responsibilities, range standard operating procedures, range inspection and range rules, firearm stoppages and malfunctions, and Range Safety Briefings which include emergency procedures. Candidates must also receive 90 percent or better on the written exam.How does one become a certified NRA Range Safety Officer? Those individuals who do not hold a trainer rating must attend a Range Safety Officer course. Range Safety Officer courses are conducted by Chief Range Safety Officers. 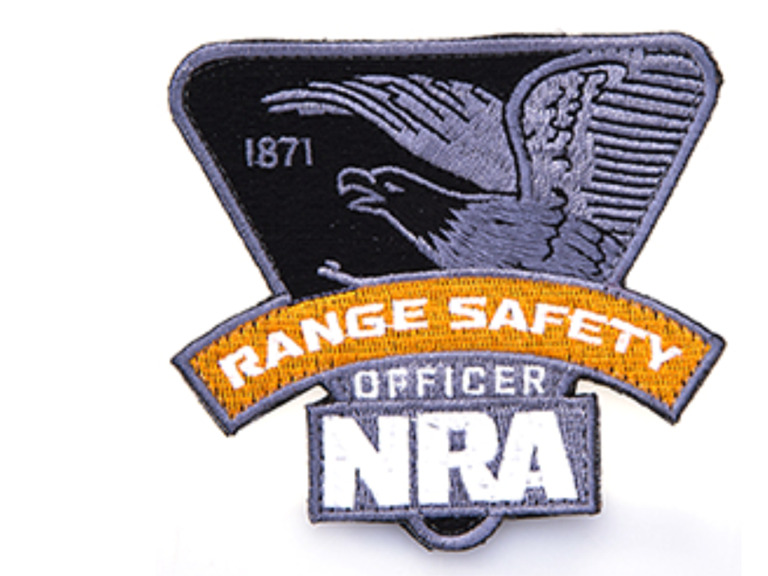 ("Chief Range Safety Officers" are those individuals certified to train NRA Range Safety Officers.) The Range Safety Officer course is a nine-hour course that consists of classroom time and practical exercises conducted on a range. Range Safety Officer candidates will receive the Range Safety Officer Student Packet.